A shared passion is a powerful impetus for synergies amongst the corporate sector, scientists and organizations towards achieving a common goal. At Bayer, our passion for animals has inspired us to engage with over 90 organizations around the world in three areas – supporting the efforts of animal focused organizations, educational and awareness outreach, and research towards helping improve animal health and well-being around the world. It’s no secret that farming is hard work and it is getting even more difficult. At Bayer, we want to help farmers achieve better outcomes and this is why improving animal welfare is an important topic to us. The pressure faced by farmers today is mounting with the escalating demand for animal proteins amid dwindling land and energy resources, as well as impact on the environment. Adding to the host of challenges, consumers today increasingly expect higher food standards, even as they take more interest in the origins of their animal proteins and how animals are treated. This makes animal welfare more essential to good farming practices than ever before. Bayer was pleased to partner with the World Farmers’ Organization (WFO) to co-organize the Livestock workshop at the WFO Annual General Assembly in Buenos Aires, Argentina in March. 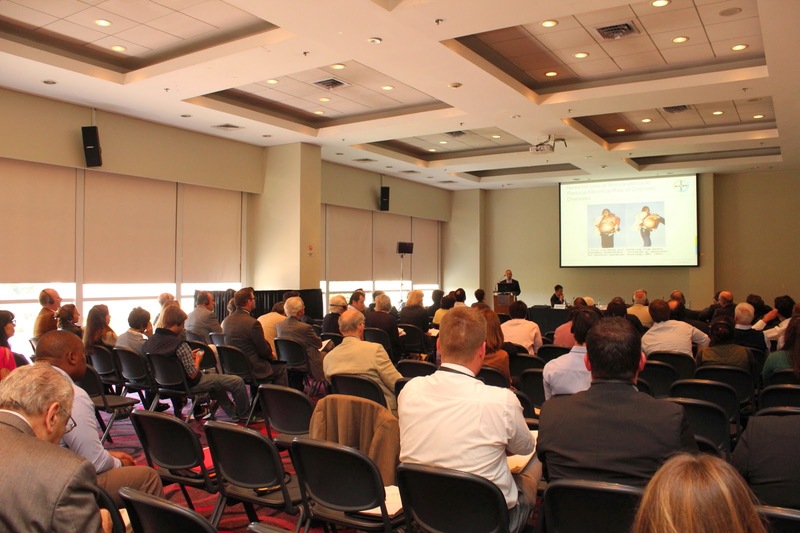 The joint workshop organized along with the World Organization for Animal Health (OIE) and the International Meat Secretariat, put the spotlight on critical topics relevant to animal farming today, and underscored the vital importance of sustainability in animal farming on the international stage. This marks a significant milestone in the journey towards greater awareness and understanding of animal welfare, as well as the efforts of the farming industry as a whole to promote good farming practices more widely. The next step is for the workshop participants to take what they have learned beyond the confines of the conference room, and to take the knowledge, ideas and best practices back to their home countries to inspire their colleagues to work towards achieving higher levels of animal well-being. Latin America, visit a swine farm in Sao Paulo, Brazil. 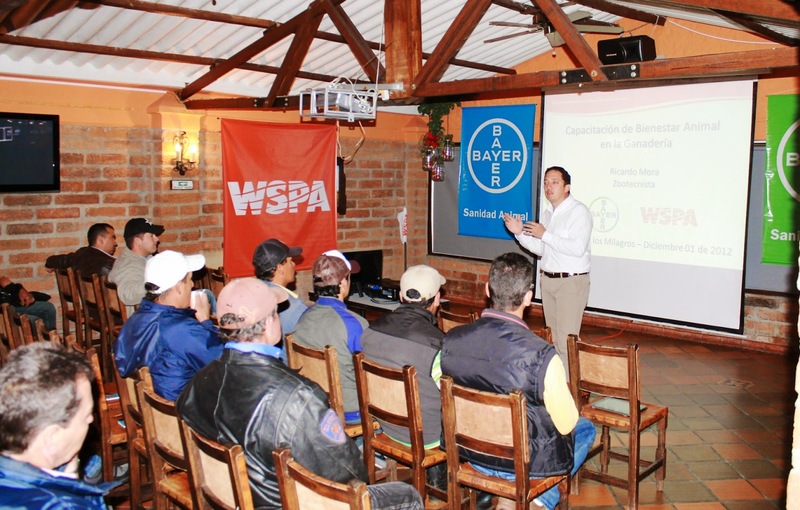 Bayer’s commitment in the area of animal welfare and sustainable farming translates into many different outreach and educational initiatives, many of which are carried out in Latin America, where much of the world’s meat comes from. In Latin America, our colleagues recently completed a five-month educational course on animal welfare at the Cambridge Institute. Animal welfare is a topic we take seriously. From talks and seminars, to workshops and farm visits, Bayer has partnered with organizations to educate thousands of farmers, veterinarians and students in Latin America on how the better care of animals contributes to better outcomes for farms and for the broader community. Each initiative is designed to engage the local community, and provides practical and relevant know-how on pertinent topics such as stockmanship, installations, disease control, parasite management, as well as nutrition and feeding. The Bayer team helps farmers understand animal welfare principles, and how making the animal healthier – by understanding stress factors and possible pain points for the animals, and using methods that remove or reduce these stressors – is good for productivity, their business, and for the farming industry as a whole. The message they share with farmers is simple – “what is good for the animal, is good for the business.” Treat animals well. Bayer is also active in research and development (R&D) collaborations and partners with leading research institutes, universities think-tanks and laboratories around the world. As the fifth largest animal health company in the world and a global leader in parasiticides, we are committed to help prepare veterinarians and farmers for future animal health challenges, including parasitic, infectious, chronic, and zoonotic diseases. Animal Welfare in San Pedro, Colombia. “Our external research collaborations complement our own strong innovative edge that we enjoy from working closely with Bayer CropScience and Bayer HealthCare Pharmaceuticals, which enables us to take a life-sciences approach to R&D. In fact, we are the only animal health company that can leverage the best of plant, human and animal health towards developing new innovations to help keep animals and the people who care for them healthy,” added Ehle. We know we get the best results by working together, and we can all help farmers by collaborating across corporate, research and government sectors. There are many synergies and much that can be shared and learned through partnerships, and we look forward to more opportunities to partner across boundaries to help farmers achieve more and succeed, with healthier farm animals and sustainable farms. This article was originally contributed by Janice Chow, Global Communications and Public Relations Manager, Bayer HealthCare Animal Health, to the World Farmers' Organisation's F@rmletter.